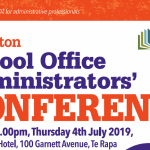 Coming up on July 4th, Hamilton has the chance to attend the Canterbury Education Services Office Administrators Conference. With engaging topics, interesting speakers, trade displays and much more, you won’t want to miss out. With an extensive range of topics to choose from, you’ll be spoilt for choice about which workshops to attend. These sessions have been specifically chosen by CES for being useful to school administrators, providing you with tools to become more efficient. 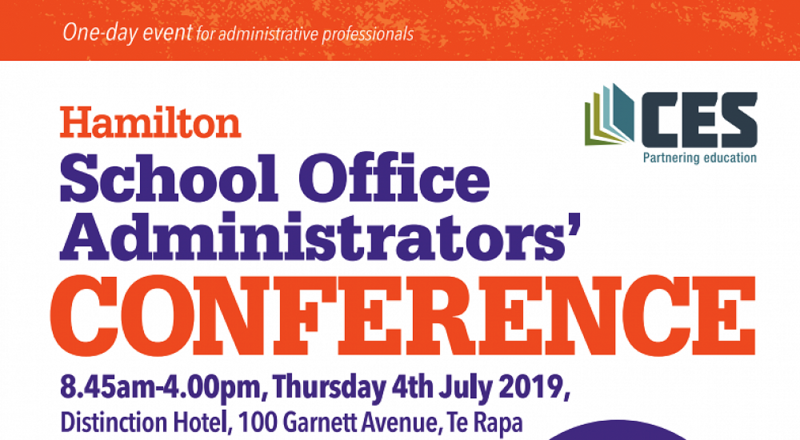 Learn tips and tricks for using Google and Microsoft products, how to make improvements to your school payroll, the best ways to interact with your students, and so much more! This year’s conference features many talented speakers from various different backgrounds. Hear from e-learning and Microsoft specialists, and representatives from the Ministry of Education. We all know networking is the key to making connections, and what better opportunity than this! Get in contact with CES to register for this not to be missed event. For more information, check out the brochure below.